Plants have three macronutrients for maximum health. One of these is potassium, which was once referred to as potash. Potash fertilizer is a natural substance that is constantly recycled in the earth. Exactly what is potash and where does it come from? Read on for these answers and more. Potash got its name from the old process used to harvest potassium. This was where wood ash was separated in old pots to soak and the potassium was leached from the mash, hence the name “pot-ash.” Modern techniques are a bit different from the old pot separation mode, but the resulting potassium is useful for plants, animals and humans. Potash in soil is the seventh most common element in nature and is widely available. It is stored in soil and harvested as salt deposits. Potassium salts in the form of nitrates, sulfates and chlorides are the forms of potash used in fertilizer. They get used by plants that then release potassium into their crops. Humans eat the food and their waste deposits the potassium again. It leaches into waterways and gets taken up as salts which go through production and are used again as potassium fertilizer. Both people and plants need potassium. In plants it is essential for water uptake and for synthesizing plant sugars for use as food. It also is responsible for crop formulation and quality. Commercial bloom foods contain high amounts of potassium to promote more flowers of better quality. Potash in soil is the initial source for the uptake in plants. The foods produced are often high in potassium, such as bananas, and afford a useful source for human consumption. The addition of potash in soil is crucial where the pH is alkaline. 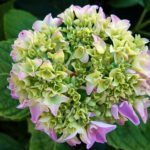 Potash fertilizer increases the pH in soil so should not be used on acid loving plants such as hydrangea, azalea and rhododendron. Excess potash can cause problems for plants that prefer acidic or balanced pH soils. It’s wise to do a soil test to see if your soil is deficient in potassium before using potash in the garden. The link between potash and plants is clear in the promotion of bigger fruit and vegetable yields, more abundant flowers and increased plant health. 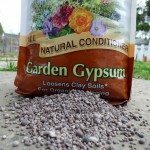 Add wood ash to your compost heap to increase the potassium content. You can also use manure, which has a small percentage of potassium and is relatively easy on plant roots. Kelp and greensand are also good sources for potash. Potash doesn’t move in soil more than an inch so it is important to till it into the root zone of plants. The average amount for potassium poor soil is ¼ to 1/3 pound of potassium chloride or potassium sulphate per 100 square feet. Excess potassium accumulates as salt, which can be damaging to roots. Annual applications of compost and manure are usually sufficient in the garden unless soil is sandy. Sandy soils are poor in organic matter and will need leaf litter and other organic amendments tilled into the soil to increase fertility.